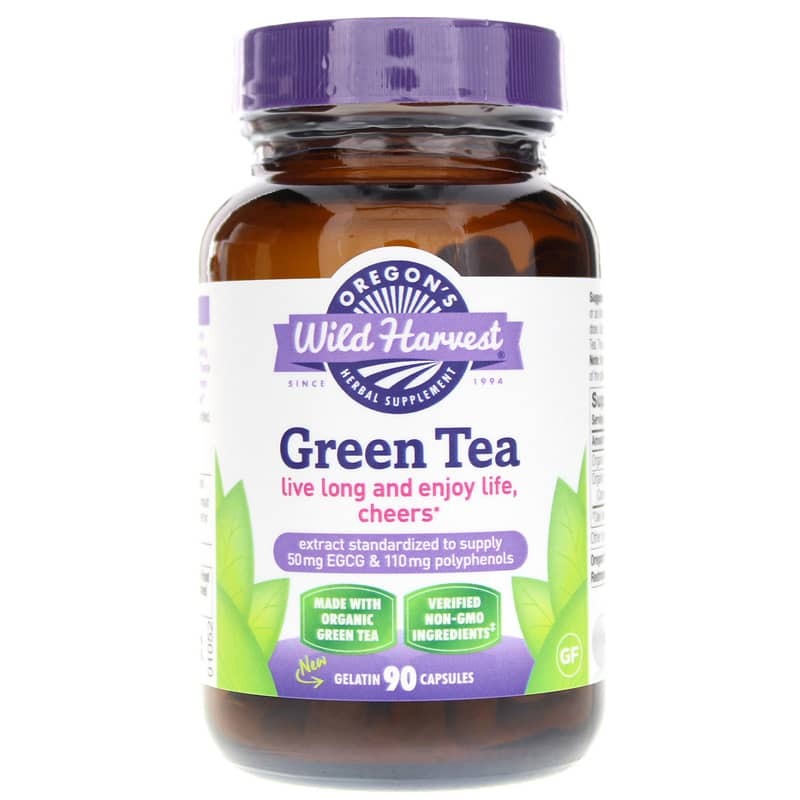 Get all of the antioxidant benefits of a cup of green tea in a convenient and organic supplement with Green Tea from Oregon's Wild Harvest. 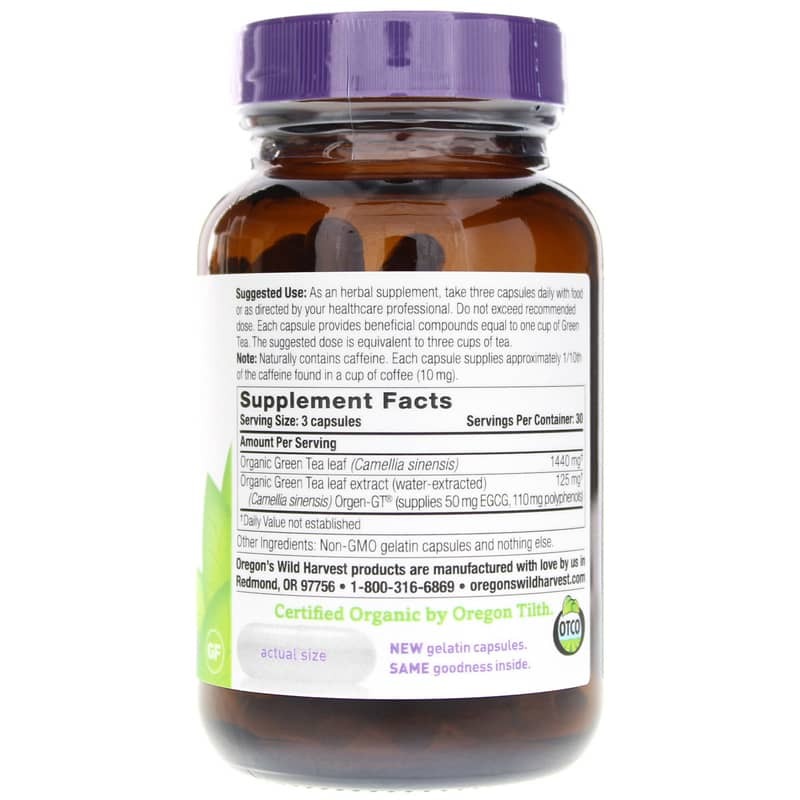 This green tea supplement contains 1200 mg organic green tea leaf plus 125 mg organic green tea leaf extract providing 50 mg EGCG and 110 mg polyphenols for antioxidant support. Green tea has been a relied-upon herb throughout the ages in Asia. Containing polyphenols including catechins, epicatechin, epicatechin gallate, epigallocatechin gallate and proenthocyanidins, it's rich in antioxidants. Combining the best in traditional herbal knowledge and modern scientific research, this green supplement contains green tea as both an herb and as a standardized extract to ensure optimal delivery of green tea's most beneficial compounds. The extract is solvent-free and water-extracted to supply concentrated levels of catechines, polyphenols and EGCG. Get the most from green tea. Order Green Tea from Oregon's Wild Harvest. Contains NO: GMOs, excipients, stearates, dairy, wheat, gluten, peanuts, soy or corn allergens. Vegetarian. 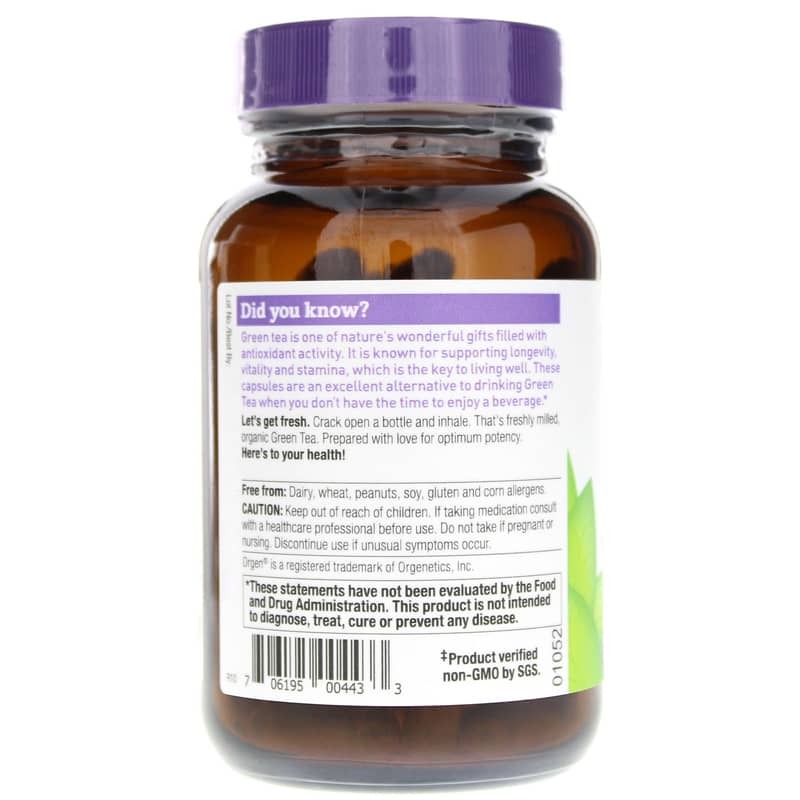 Adults: As an herbal supplement, take three capsules daily with a light meal. Each capsule provides beneficial compounds equal to one cup of Green Tea. Contains natural caffeine. Each capsule supplies approximately 1/10th of the caffeine found in a cup of coffee (10mg). Do not use if pregnant or nursing. Keep out of reach of children. Discontinue use if unusual symptoms occur. Do not exceed recommended dose unless under the guidance of a healthcare professional. Price, quality of product and fast delivery were all very good. I would not hesitate to order from Natural Healthy Concepts again.